In this lesson, students learn about famous entrepreneurs, their work and how their work influenced society. 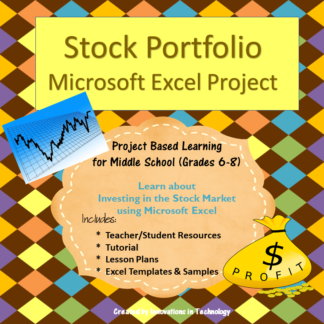 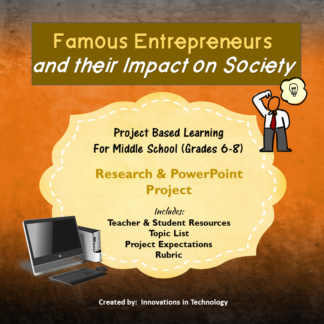 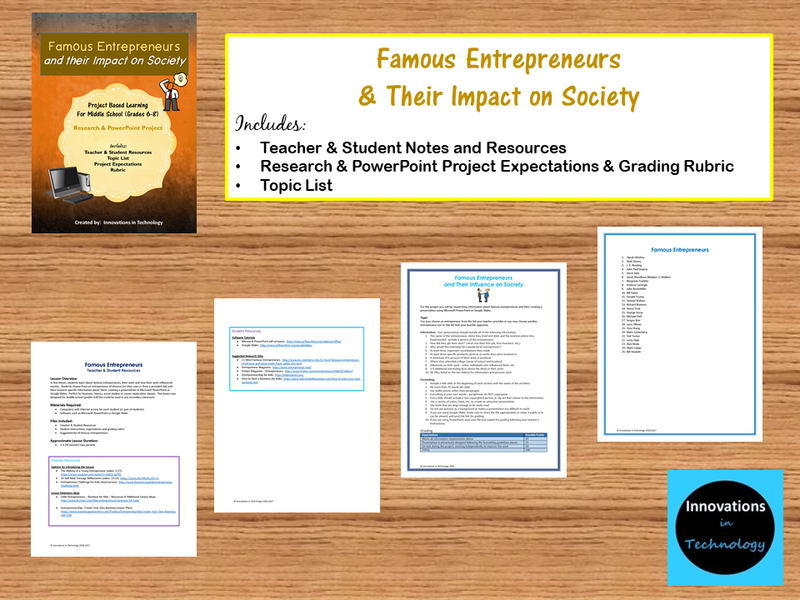 Students choose from an entrepreneur of interest (on their own or from a provided list) and then research specific information about them, creating a presentation in Microsoft PowerPoint or Google Slides. 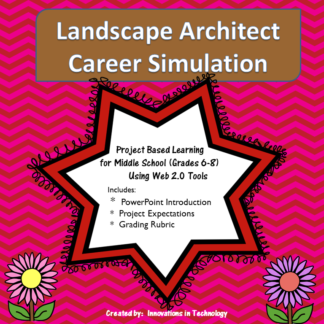 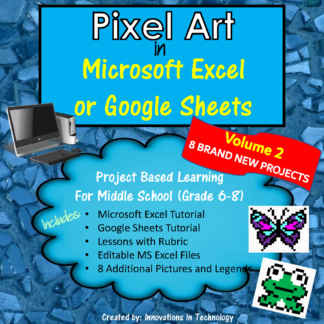 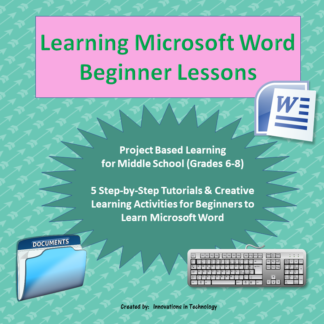 Perfect for business, history, social studies or career exploration classes. 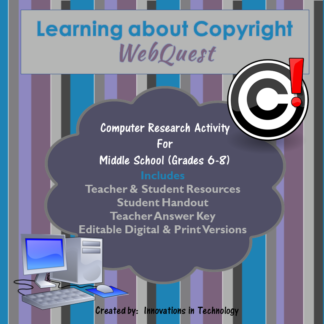 This lesson was designed for middle school (grades 6-8) but could be used in any secondary classroom.